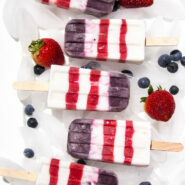 I love 4th of July decorations; all the red, white, and blue is so much fun! 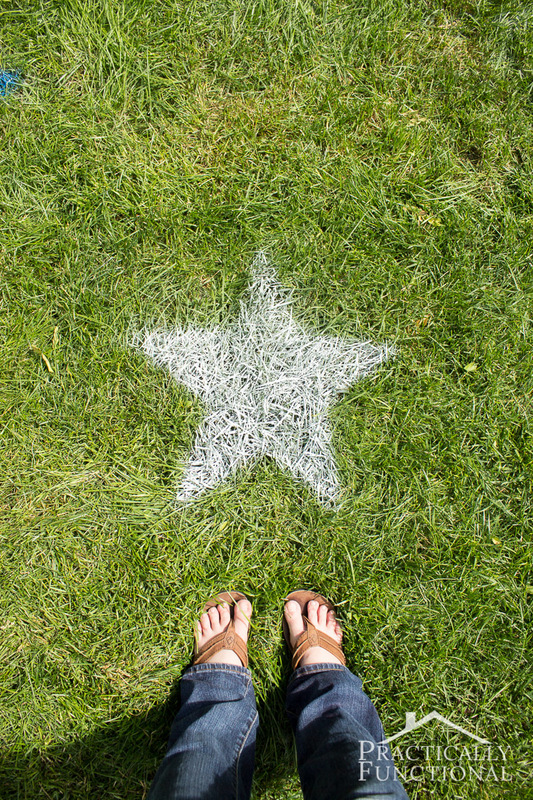 If you need a quick and easy outdoor decorating idea, check out these spray painted lawn stars. 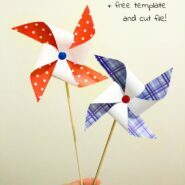 They’re quick and easy to do, and perfect for Independence Day! 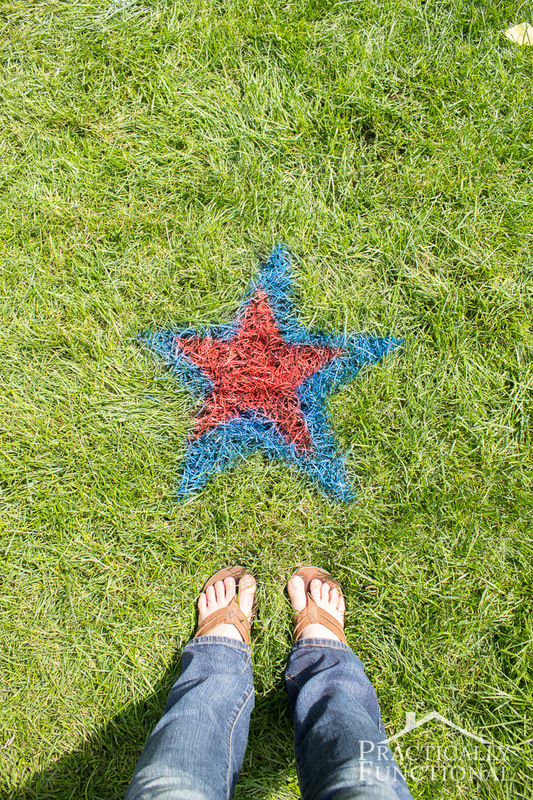 Adding these lawn stars to your front yard is such a great way to show your patriotic spirit! 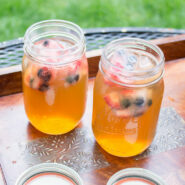 Or, add them to your backyard for a little extra color during your 4th of July barbecue! 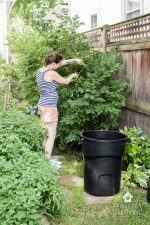 First, I’m sure you’re asking “Will spray paint kill my grass?” The answer is: No! 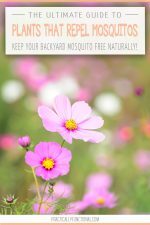 Obviously if you completely saturate every single blade of grass with spray paint, on both sides and all the way down to the soil, you will block the grass’s ability to soak up sunlight, and that could harm it. But a light dusting of spray paint won’t hurt it at all! 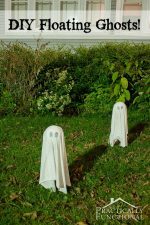 You can see from the photos below that the stars are clearly visible on my lawn, but only the part of the grass blades that were facing upwards were painted; the other side is still green, and there is still some green closer to the soil as well. 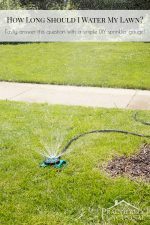 Plus, grass grows really fast, and the next time you mow your lawn the painted part will be trimmed by your mower and your lawn will be back to 100% green! 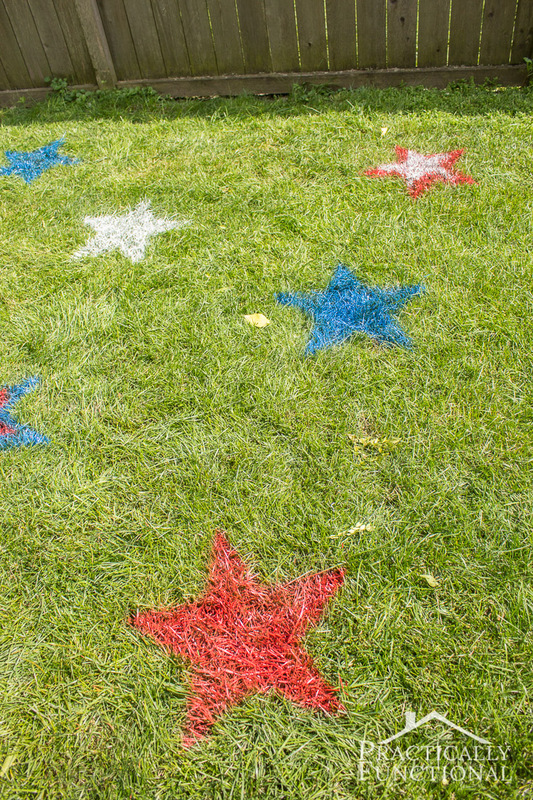 NOTE: If you’re still worried about harming your grass, you can spray plain water through your stencil, and then sift cornstarch or flour over it instead, adding a bit of food coloring to the flour to acheive the color. 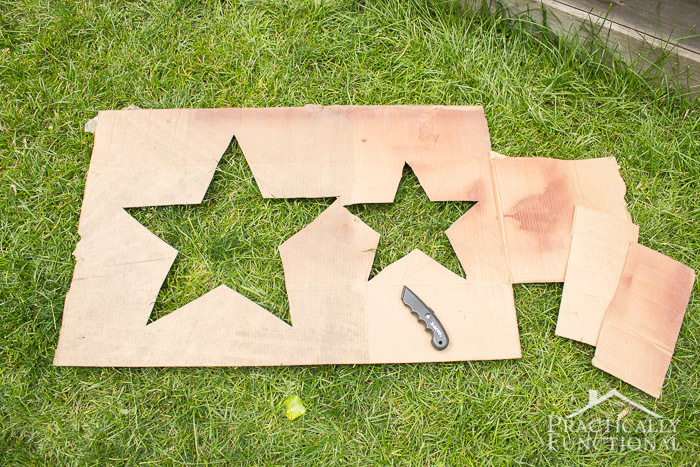 Start by cutting out a large star shape from your piece of cardboard. 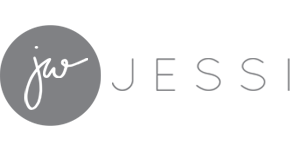 I cut two stars, one slightly smaller than the other, so I could make some two-toned stars. Cardboard stencils work great for spray painting! Be sure to leave some extra cardboard around the edges so that you don’t accidentally spray over the edge of your stencil. My two stars were a little close to one another so I just used a spare piece of cardboard to help cover the other star as I sprayed. 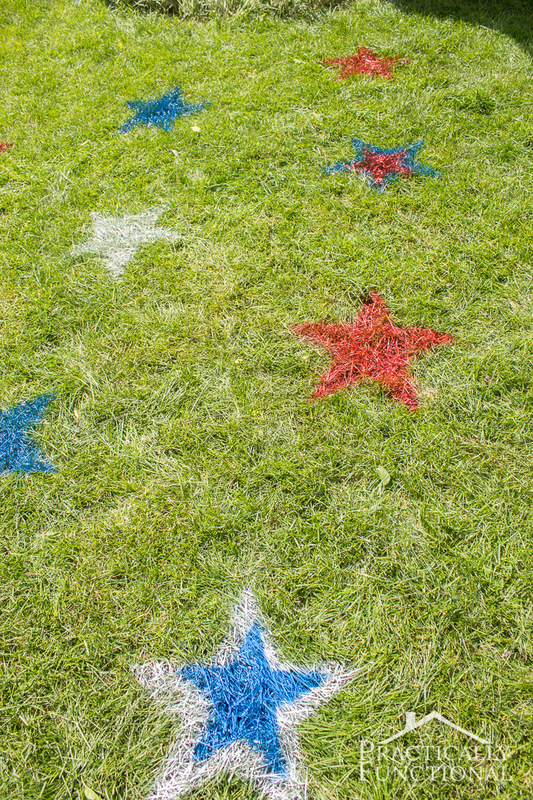 Place your cardboard stencil on your lawn and carefully spray paint the grass inside the stencil. 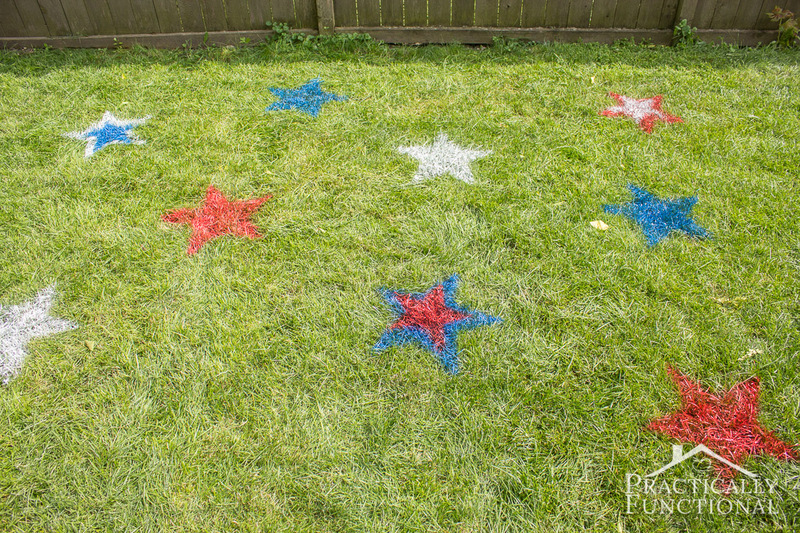 Repeat until your lawn is covered in stars!!! 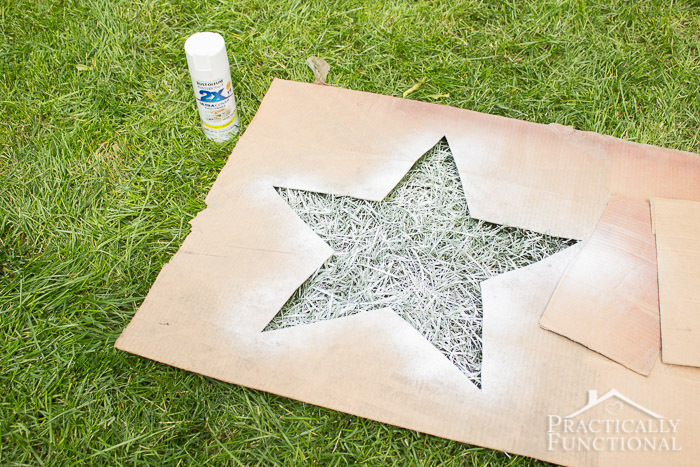 If you want to create a two-toned star, wait a few minutes for the larger star to dry, then place the smaller stencil over the painted star. 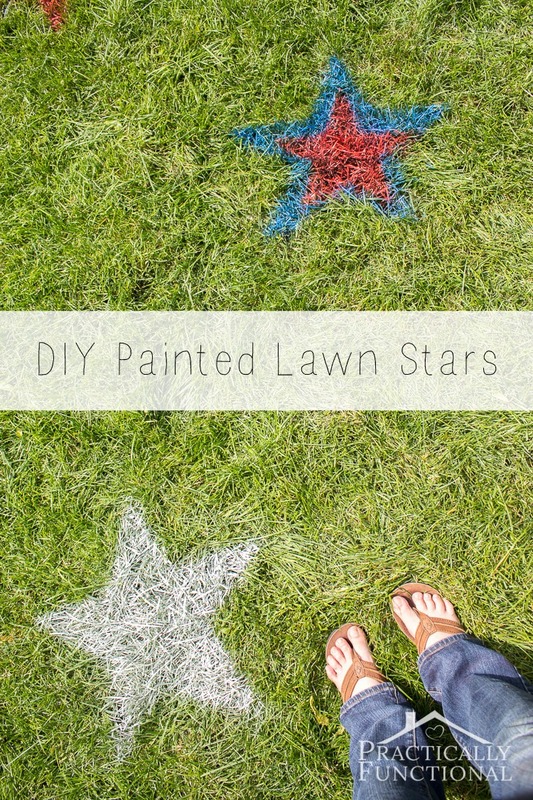 Spray the smaller star with a different color spray paint, and you have a two-toned lawn star! 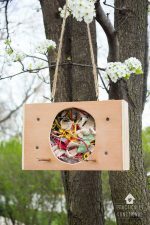 Feel free to mix and match your stars however you want! 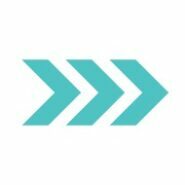 « How To Tidy Your House Fast!